It’s time for some epic sweets at an Epic restaurant. Each month at Epic (112 West Hubbard), pastry chef Jessica Ellington creates a special dessert for a great cause. 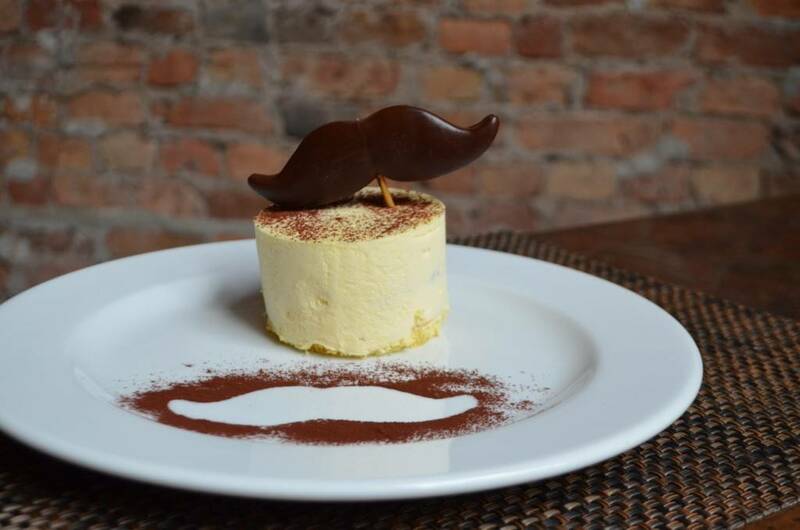 This month, her housemade “Tiramisu Cake” will benefit Movember. The tiramisu-inspired dessert ($12) is made with with mascarpone mousse, coffee cream, ladyfinger cake, coffee and cacao nib crisps and is topped with a chocolate-dipped “moustache” sugar cookie. At the end of the month, Epic will donate a portion of the proceeds from each dessert sold to the Movember campaign, which raises funds and awareness to combat men’s health issues. The complete fall dessert menu (sticky toffee bread pudding; apple dumpling with cider caramel; pumpkin pie creme brulee; and more) is outlined below. Epic is open for dinner Monday through Thursday, 5:30 p.m.-10 p.m.; Friday and Saturday, 5:30 p.m. – 11 p.m. Lunch is served Monday-Friday, 11:30 a.m.- 2:30 p.m.
As an official global charity, Movember’s vision is to have an everlasting impact on the face of men’s health. During November each year, Movember is responsible for the sprouting of millions of moustaches on men’s faces around the world. Through the power of the Mo, vital funds and awareness are raised to combat prostate and testicular cancer and mental health challenges.